Think Where You Work is Inefficient? Blessed is each day I don't have to shake a banner heralding $5 pizza on the corner of Dumbarton and Lakeside Avenue, I thought driving back from Roy's Big Burger tonight. But like the lass who was bouncing the sign this evening, I'd execute my banner shaking duties with rhythmic gusto, with the help of some Dead in the earbuds and a six of Miller Lite hidden in some nearby bushes. At least I'd like to think so. Reading about Soylent in this week's New Yorker left me so hungry for actual food that only a burger from Roy's would do. Git yourself one "all the way." Burger bagged, as a last stop before taking my kill home to feast upon, I rolled into to the 'hood convenience store, run by global petrochemical concern Valero. I wanted to grab an ice cream taco, because, really, once you commit to Roy's you might as well shed any remaining caloric modesties for the day. I also needed a sports drink, to make a wine spritzer (Don't ask). Two sports drinks it turned out, because they were on sale that day! Two for $2. Deal, I thought grabbing a second bottle of the purple-flavored liquid. Only the sales clerk had forgotten to ring up the sale price, charging me an extra $2. She noticed the error, but only after the cash register had completed the sale. "Yeah, those Power drinks went on sale today," her co-worker sighed wearily. The clerk grimaced. And I soon would discover why. Turns out, handling refunds at this particular chain of convenience outlets involves filling out a form -- yes an actual paper form -- right then and there! As my softening Choco Taco wilted on the counter, she dutifully filled out the reason for the refund ("wasn't given sale price"), total $ refunded ($4.08 by a calculation mysterious to me), time, date. The customer has to fill out some of the form as well! So, for my name I put "Donald Trump." 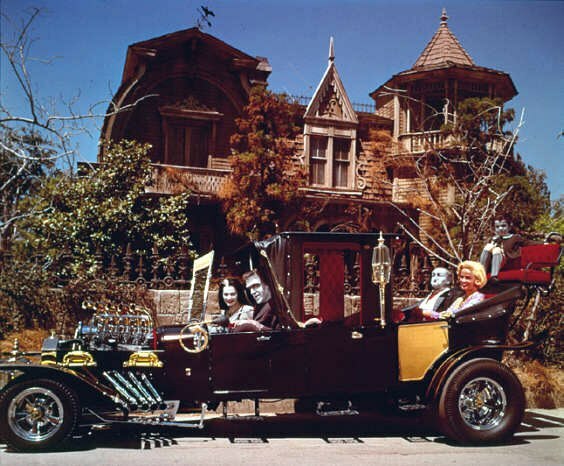 For my address I scribbled "1313 Mockingbird Lane." As for a required phone number, I scratched in "no fonez." "Type of ID" I didn't even want to contemplate. And then I had to sign it. And she had to sign it. Only after completing this protracted process did I get my $1.99 refunded, much to the annoyance of the growing line of customers behind me. Seems pretty laborious for an establishment touting its powers of convenience, wouldn't you say? Blessed be the banner shaker.